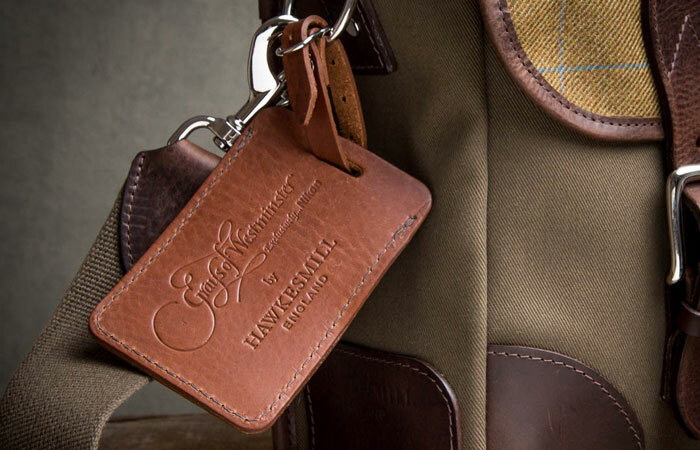 Last week we launched a new range of premium leather luggage tags. These luggage tags have been developed with Grays of Westminster, the world’s first “Nikon only” camera store, to celebrate Nikon’s 100th anniversary. It was an honour to be asked to make these for Grays as there are a lot of other companies they could have gone to. It was a real pleasure working with the team at Grays of Westminster. It is just a small part of Nikon’s 100th anniversary, but we are very proud to be included as one of the companies celebrating this incredible brand’s centennial year with a special, limited leather luggage tag. Our new luggage tags come in the same Italian bubble leather as our premium camera bag range. Colour choices are either: black or brown, in keeping with our camera bag colourways. For more information please see our luggage tag page. This entry was posted in News and tagged Grays of Westminster, Italian leather, Leather Luggage Tag, Nikon.